Ramadan Dusk Picture. Beautiful Religious Background With Crescent, Stars And Glowing Clouds. Lizenzfreie Fotos, Bilder Und Stock Fotografie. Image 115452745. Standard-Bild - Ramadan dusk picture. Beautiful religious background with crescent, stars and glowing clouds. Ramadan dusk picture. 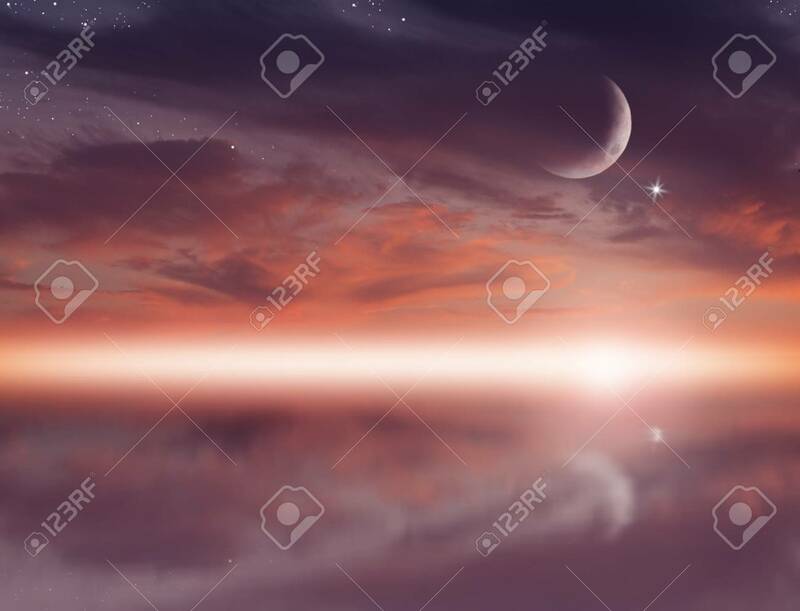 Beautiful religious background with crescent, stars and glowing clouds.